Little Miami district called Fisher Island has a fairly modest size. About 500 people live here at the plot of 0.78 square kilometers. On the other hand, Fisher Island is uniquely respectable and luxurious area. 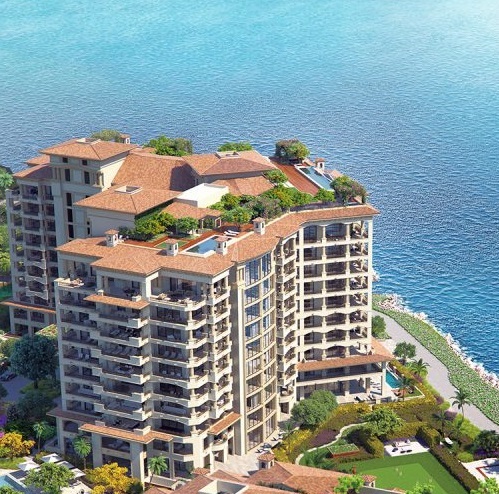 The houses under construction confirm it: new developments in Fisher Island are the buildings in the luxury style. For example, the Palazzo Del Sol, is characterized by the interior and exterior worked to details. Being surrounded by water from three sides, the area of Fisher Island will be an excellent choice for people who want to live in an atmosphere of luxury and adjacent to famous people.